Just a week into season and some Seahawks have competed in their first meet! 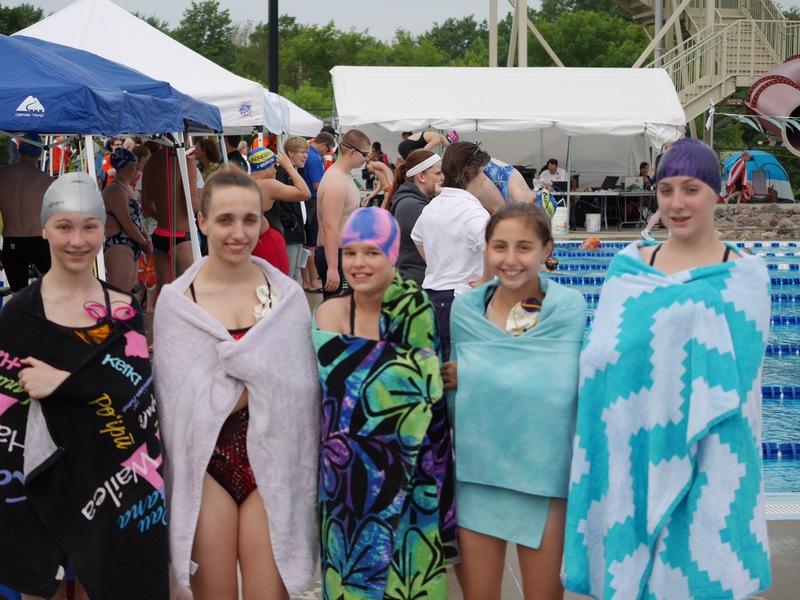 The summer USA swimming season kicked off locally with the ACAC Rock The Blocks meet held June 5-7 in Ames, IA. The Seahawks sent 18 swimmers to compete against 19 other teams from around Iowa, Minnesota and Nebraska. Summer USA Swimming meets are a bit different. They are in “long-course” format, which means that swimmers swim 50 meters at a time, rather than the “short-course” 25 yards (or meters). Be sure to convert the times from the Rock The Blocks meet results if you’d like to compare them to the 2014/15 winter’s short-course meet times. Here’s just a few meet highlights from the weekend. The actual time is shown with its converted equivalent in parenthesis. Torin Lackmann placed 7th overall in the 11-12 Girls 100 meter Breaststroke with her time of 1:32.68 (1:21.56). This was a new personal best! View the full meet results to see more great swims. Meet results can be found under USA Swimming > Practice & Meet Schedules. Past meet results can be found the USA Meet Results Archive. Do you have photos from the meets you’d like to share? We’d love to see them. You can post them to our Facebook page. We may even repost them to Instgram, Twitter and/or this team website to share. SDMS loves to see our Seahawks in action!